With an intention to provide designer wear to everyone at the lowest possible price, Ankita Kulkarni, a Pune-based designer and stylist makes the most fashionable garments which will get you party-ready in no time. Ankita specialises in various kinds of garments which vary form day-to-day wear, to corporate wear, to something elegant and stunning for your friend’s wedding! What more? 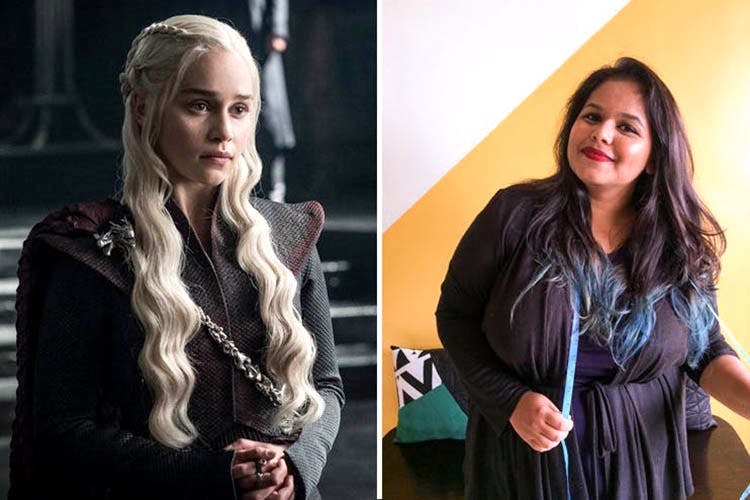 You can pick a design from GoT, and get a Daenerys gown or a glamorous Lannister coat made within a budget! Ankita’s own clothing line, We Get On focuses majorly on corporate wear which is easy to maintain, has patterned designs and much more! She also adds a personal touch by not only designing, but also by stitching all of them on her own! As a designer, Ankita loves those designs which will challenge her inner designer and will eventually give you dresses that you wouldn’t have imagined! From croptops to kurtis to accessories, Ankita has you covered! Under the venture of artichoke, Ankita and her friend, cater to the needs of upcoming models by helping them with their photoshoot, makeup and styling all at INR 1200 only!